Welcome to part 3 of our 3D applique series in which we bring to you three different techniques to sew textured cupcakes. 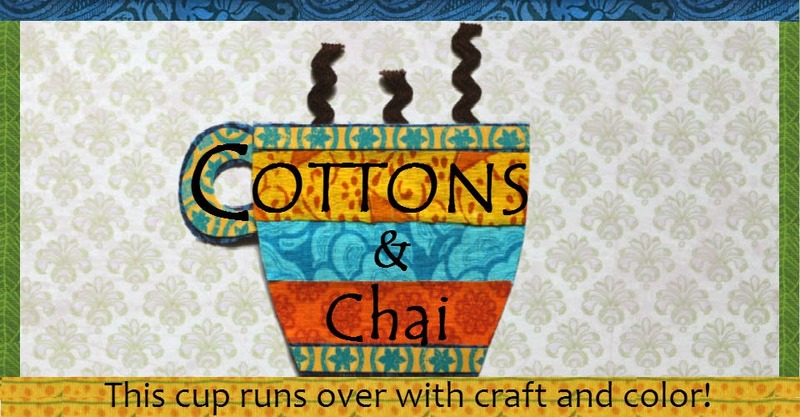 These applique methods can easily be adapted to any other motif you like! 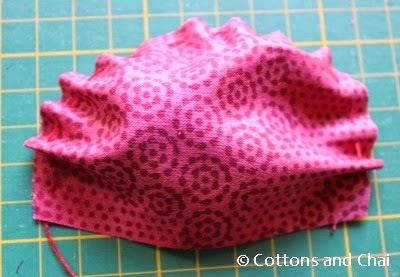 As part 2 of this series we made a 3D applique using scallops. If you'd like to check it out, here it is. So on with today's cupcake. 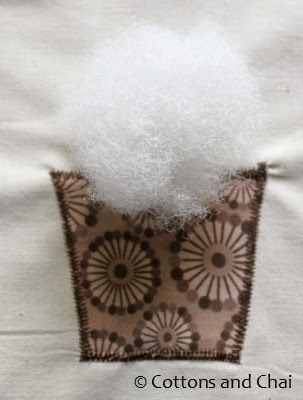 We will be making a cupcake stuffed with polyfill for our second 3D applique method. 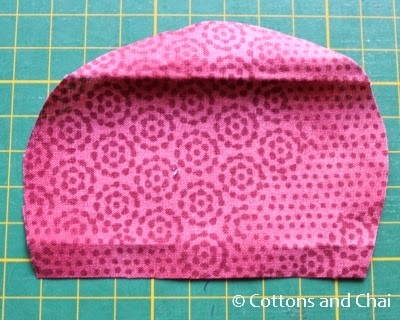 Step 1: I started off by cutting a sort of semicircle shape within the 5" * 5" piece of fabric. I didn't measure or anything, just winged it coz hey - the cupcake just got baked that way! Step 2: Then I threaded a needle, knotted the end of the thread and hand basted around the curved edge of the shape about 1/4" from the outside. 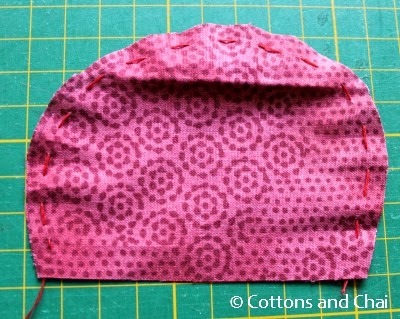 Step 3: Next I pulled on the basted thread gently so that the semicircle shape 'cupped' a bit. Then I evened out the gathers all around the curve. 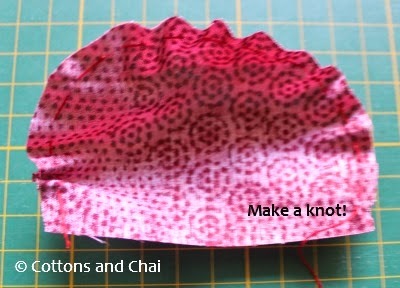 Step 4: Once I was satisfied with the cup shape, I made a knot at the back of the fabric so that the cup shape would stay put and it wouldn't flatten again. Step 5: Time to get on with the applique! 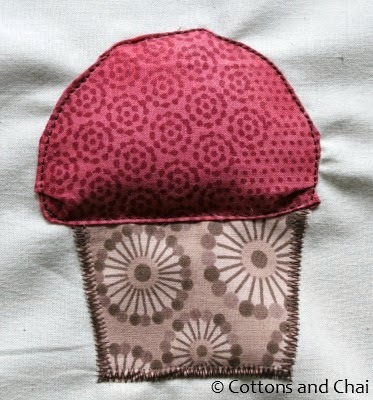 I cut a cupcake liner shape by folding the brown fabric in half and making a slanting cut on the non-folded side. 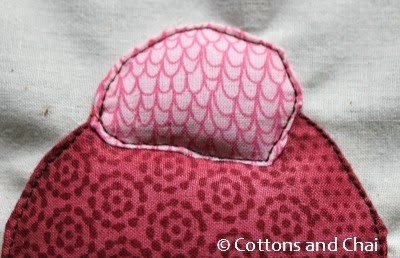 I then appliqued it onto the background fabric by using zigzag stitch. Step 6: Next I took a blob of polyfill and positioned it over the cupcake. 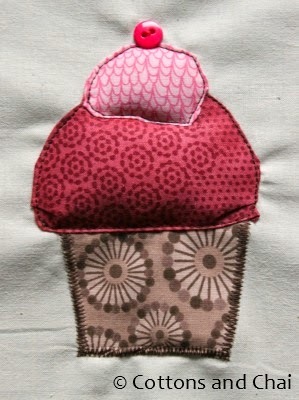 Step 7: I then carefully placed the cupcake fabric over it and folded the edges under. 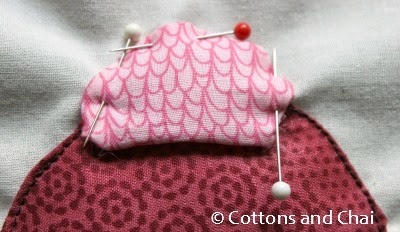 The basting stitch helps while doing this and also gets hidden under. I made sure all the polyfill was properly tucked in and pinned it all around. 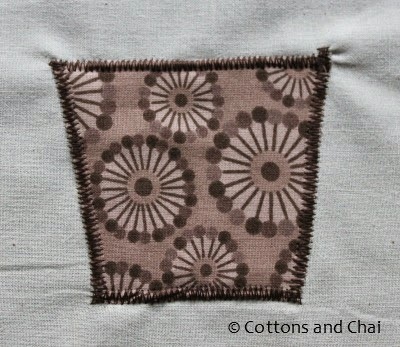 Step 8: I sewed around the pinned edges with a straight stitch. Our stuffed cupcake is starting to take shape! Step 9: Now for the frosting, I cut a semicircle from the pink fabric and followed steps 6 and 7 to get it ready for sewing. Step 10: Again I went around it with a straight stitch. As you can see it's not an exact semicircle shape, but I don't really think it has to be for this project! 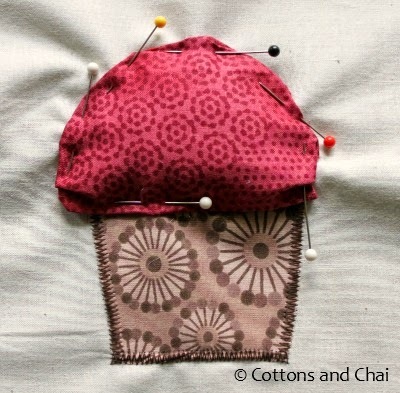 Step 11: Lastly, I put the cherry on top by sewing the button on. Then I inserted a clean toothpick to check if the cupcake is done.. just KIDDING! We're done. So finally here is our delectable cupcake platter. And with that we conclude our 3 part 3D applique series. I do hope you've enjoyed it and if you do try it out we'd love to see it! I loved this stuffed cupcake the most too! :-) while the others have more decorative styles the puffy muffin-tops on this one looks the best. I really enjoy your writing style and your sense of humor.